There are a lot of cracks we here at SkyGeek could make about the Little John Portable Urinal, but let's be honest here; the jokes stop when things start to get desperate. Surely you've found yourself in a trying situation once or twice before ? maybe on the road when you've just passed the last rest stop for 25 miles, or even late at night when you just Don't feel like making that trip down the hall. And pilots?well, we Don't have to explain the need for portable relief when you can't leave the helm. 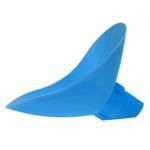 Leave your empty soda bottle alone and join the classier crowd with this virtually unbreakable and completely reusable urinal. The odorproof polyurethane container has an easy-grip handle and a spill proof cap for ultimate portability, and at around the size of your shoe it's small enough to be discreet but large enough to be useful. The Little John is also handy for your kids' motion-sick moments (or yours, for that matter ? it happens to the best of us Skygeeks!) and is a welcome sight during a flight, boat or car ride, camping trip, motion-sick moment or a stop at a dirty restroom. It's helpful for the elderly, disabled or convalescing individuals as well. Ladies ? wondering how you'd get use out of the Little John? Have no fear ? 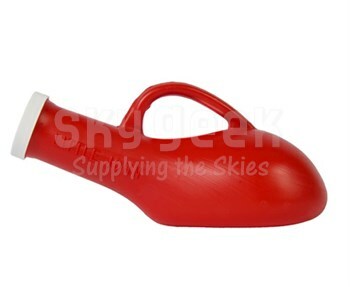 we also carry the Lady J Female Urinary Director and Little John package on Skygeek.com. Check it out!